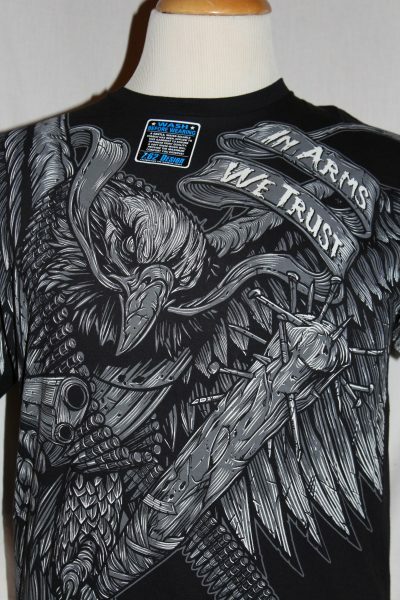 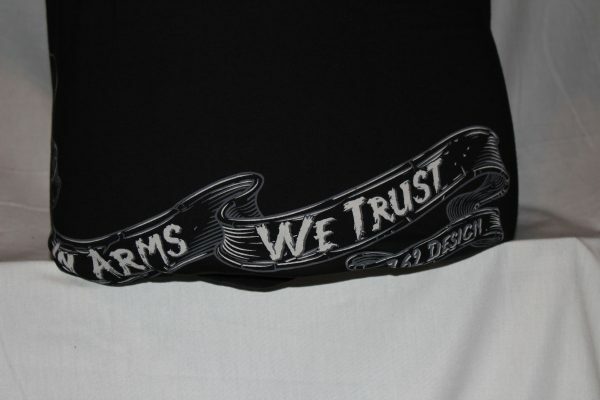 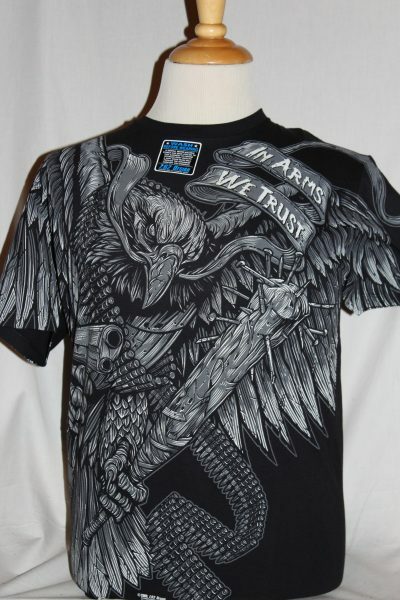 The In Arms we Trust T shirt is a jumbo design in black. The front image is of the eagle, various weapons and text. 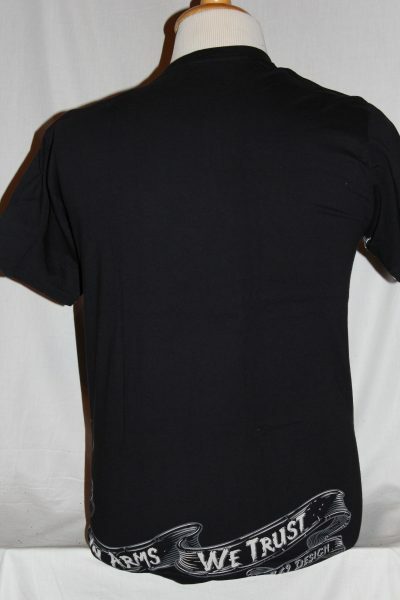 The back design is text at the bottom of the shirt.